This year we are pleased to offer Future Problem Solving (FPS) and have entered in competitive section. FPS is a national programme where children work in teams to solve problems. Four-member teams research and apply the six-step FPS process to at least three different problems. A future scene, an imagined future, prompts students to tackle social, scientific, political, economic or technological issues. 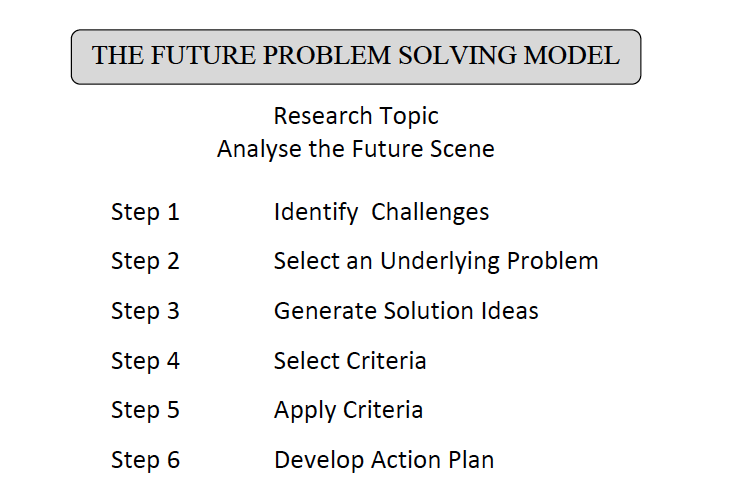 To find out more about Future Problem Solving you can visit their website. Under the guidance of a trained coach, students master the FPSPI six-step model. 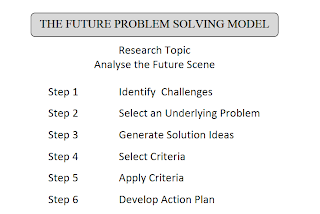 Teams explore challenges as they refine their thinking skills, focus on one problem area to solve, produce solution ideas, generate criteria to evaluate their solution ideas and develop an action plan. Students develop critical and creative skills while working cooperatively and collaboratively in groups. FPS will run for the rest of the year. We will meet every Weds in the Senior Block or a space that is free. Children might be asked to complete research tasks at home and more information is on the FPS research page. Our 2016 team consists of both Year 5 and Year 6 students. The team is: Riley B, Emmanuel, Max W., Thomas T, Cindy, Annabelle S, Emily H, Lucy E, George, James H, Isobel and Noah.